At any rate, I had saved a large’ish reference sample from my last bottle of the CV and having recently acquired a sample of the Peated the time is right to taste them head-to-head and see if I can make out any differences worth remarking. I’ve since found (and purchased) an old bottle of the CV at the original price at a store in the area and so unless the Peated knocks my socks off I’m in no hurry to run out and get a bottle. Nose: Oh yes. A big hit of fairly phenolic smoke–far more of it and far more phenolic than in the 14 and 18 yo, and far more Islay in its nature. There’s a mild inky sweetness too and rapidly expanding salt. After a while there’s some preserved lemon and also a little bit of vanilla. Later there’s a faintly meaty note that develops (cured meat). With water the inky sweetness expands. Palate: The peat is a little milder on the palate but otherwise it’s just as on the nose (except the meaty thing). Nothing to add really. Well, except water; let’s see what that does: maybe brings out more of the lemon? Not a whole lot of change. Finish: Long. Smoky and mouth-colonizing. Gets a little bitter at the very end and not in a good way. Water does push the acrid/bitter thing back. Nose: Not quite as phenolic right off the bat, and more pronounced vanilla to start. Then the salt and lemon come out to play. This is not a million miles from the CV. Some olive brine a bit later, and then more fruit (oranges, a hint of apricot). Water pushes the salt back and brings out more sweet, earthy peat. Palate: Sweeter at the outset and the smoke is drier–and it’s more woody smoke than phenolic (compared to the CV). With more time there’s some hints of wet stones/earth and more lemon emerges too. With water and time the smoke expands and becomes more phenolic. Finish: Medium. More ash here but it’s not quite as wide. Sweeter with water. Comments: I think this sample of the CV has deteriorated a little bit over time. I don’t recally the bitter edge on the finish, which is what drags it down for me a little. It’s also possible that note bothers me more now than it did back when the bottle was on the go. However, I can only review what I am drinking now. The sample of the Peated was from a relatively new bottle, I think. I suspect I would like the CV more from a fresh bottle but as it is I like the Peated a little bit more. The CV is a little more of a loudmouth in its peatiness, and the Peated is a little more wood-driven with the vanilla and sweetness, but I don’t think there’s a whole lot to distinguish between them. Certainly, I don’t think there’s any need to mourn the CV. 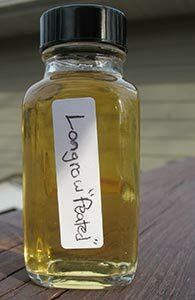 With the Peated Springbank/Longrow continue to have the best alternative to the peaty beasts of Islay. Thanks to Patrick for the sample of the Peated. This entry was posted in -Whisky by Rating, 80-84 points, 85-89 points, Longrow, Springbank. Bookmark the permalink. See here for a similar head-to-head at the end of last year over on Diving for Pearls. I think Michael likes the CV a fair bit more than I do, but he quite liked the Peated too. We didn’t, however, get identical notes from it. You’re right, there’s quite a bit of difference between our notes. Sounds like each of our CV samples had experienced some oxidation. And who knows how much air exposure the Master of Malt drams receive before they’re sealed up. Plus Springbank is known for their batch variation. But it was nice to find out that the Peated is good stuff. I can find no evidence but seem to remember that the CV was a bit more multi-vintage than the Peated is. That is to say that in the CV more Longrow vintages were used and it stretches a bit further agewise than the Peated. As I said – no written evidence for that. On his blog Michael cites someone else (Ruben L. maybe) as saying the CV was a vatting of various cask types. Now, I have to say that in the bottles I tried over the years I never got a sense there was anything exotic in there. Do you know if the makeup of the CV in terms of cask type (sherry, port, rum, whatever) changed over time? “Complete Guide to Scotch” says 6, 10, and 14 year olds, as does Roskrow’s “1001 Whiskies”. Master of Malt and “1001 Whiskies” say sherry, port, bourbon and rum casks. Ruben L (whiskynotes.be) says “6 years old whisky from bourbon casks, 10 years old from port and rum casks, and 14 years old from sherry casks”. But no one says anything about the makeup of Peated. I don’t have many complaints about the lack of age or cask disclosure (yet) because: 1.) it is priced significantly less than their age statement whiskies, and 2.) it’s good stuff. Though it would be nice to know. Thanks for digging, Michael. It’s not that I didn’t believe your note but that, as I said, I did not notice anything winey or otherwise unusual in the Longrow CV I’ve had over the years–a couple of bottles. This made me wonder if the combination of casks (and particularly the use of port and rum) was only done initially or if the CV only ever had the one recipe. It’s entirely possible I suppose that had I known it was made this way I would have found all that in it. At any rate, I wonder what the proportions of spirit from the different cask types were. I also wonder what happened to all port and rum-cask Longrow. Did it all go into the CV and did they decommission the CV when they ran out? 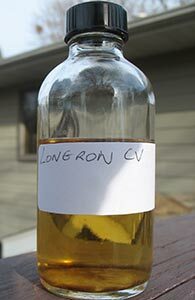 the only thing I can say is that Longrow CV originally contained malts of 6 10 and 14 years age taken from different kind of cask types. Which those were I can not say.